For an early peach that will grow well in warmer climates, you can hardly do better than Earligrande. This variety is most noted for its very early harvest dates, as early as late May in some places, but it also produces a tasty, versatile fruit that backyard gardeners will enjoy. 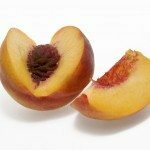 Growing Earligrande peaches is ideal for anyone in a hot climate. This tree does especially well in desert environments like Arizona and southern California. The chill requirement is just 300 hours under 45 degrees Fahrenheit (7 Celsius) and it will not tolerate very cold winters or even the hint of a late frost in spring. The Earligrande peach fruit is medium in size and semi-freestone. 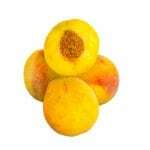 The flesh is yellow, firm, and sweet with the characteristic mild peachy tartness. You can enjoy Earligrande right off the tree, fresh and juicy. It is also a good peach for preserving and cooking. This is a great variety to grow if you live in the right type of environment. Earligrande peach care is easier than caring for some other types of peach trees and is self-fertile. You will get fruit without having an additional peach tree nearby for pollination. The tree is not small, growing up and out to about 20 to 25 feet (6 to 7.6 meters), but with the need for just one tree it works in many yards. Your Earligrande tree will need enough space to grow, plenty of direct sunlight, and well-drained soil. You may need to fertilize the tree regularly, but check the quality of your soil first. Watering in the first growing season is important to help the tree establish good roots. Later, you will only need to water occasionally. This tree only has moderate water needs. Expect your Earligrande to produce abundantly, but it is important to keep it healthy and productive by regular pruning. You need to keep its shape with yearly trimming and also make sure the branches are not crowded and you have good airflow through them. This will help prevent disease. The tree will give you pretty, fragrant pink flowers in early- to mid-spring. Then, as early as late spring, you can expect to begin harvesting ripe, juicy and delicious peaches.